Factory Direct Shirts directly at your doorstep within days. 98% of orders can be delivered in 1 or 2 days at NO EXTRA CHARGE! 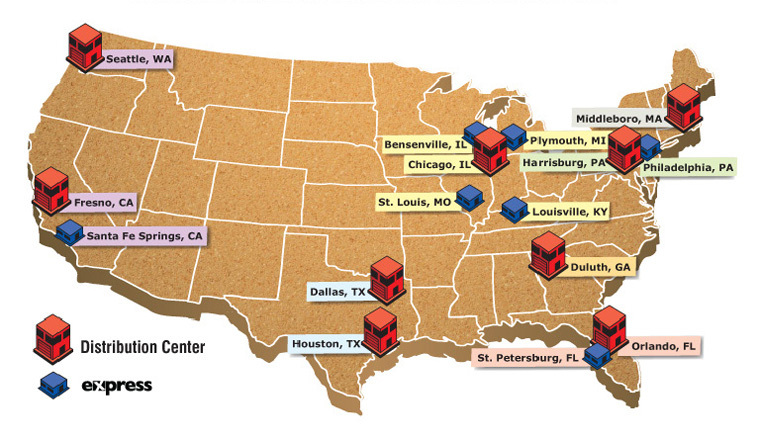 Our 9 Distribution Centers can handle any size order to meet all your needs. NEW: We now ship to AA, AE, AP, Hawaii, and Alaska. PLEASE NOTE: We do not have a customer counter at any of our locations. Our warehouses are not open to the public. No customer pickup or showroom available.